We Also Do New Contruction. We added this room addition onto an existing house. When you want to add an additional room to your home, you typically have these two options, build out from existing walls or build up which costs more. 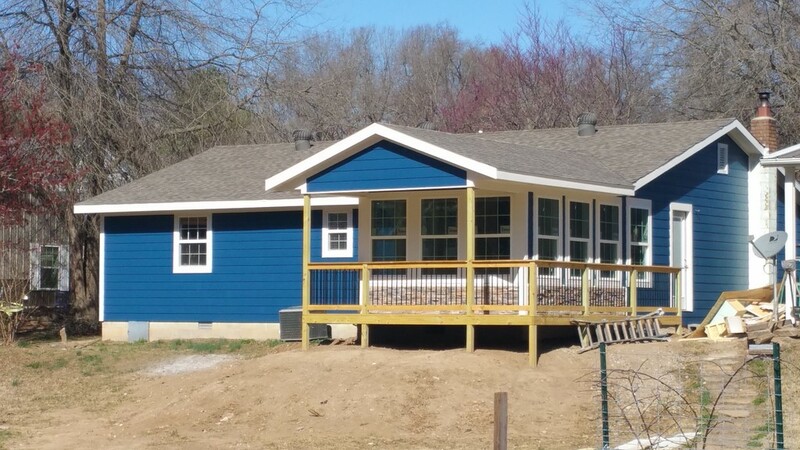 This can be a major construction project that involves creating an additional building structure and integrating it with the rest of the home to make it look like it's always been there. Average costs run anywhere from $80 to $200 per square foot. 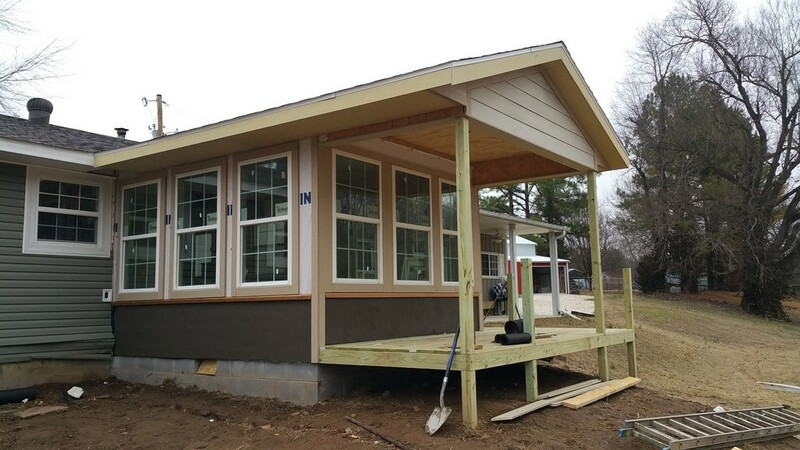 We build custum room additions, as well as perform remodeling of homes Large and small. 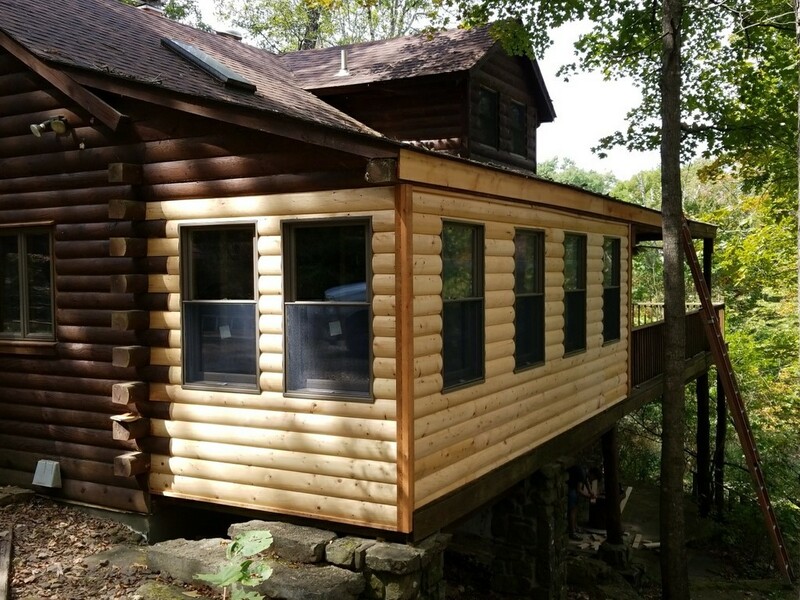 This room addition was built onto an existing Log Cabin. 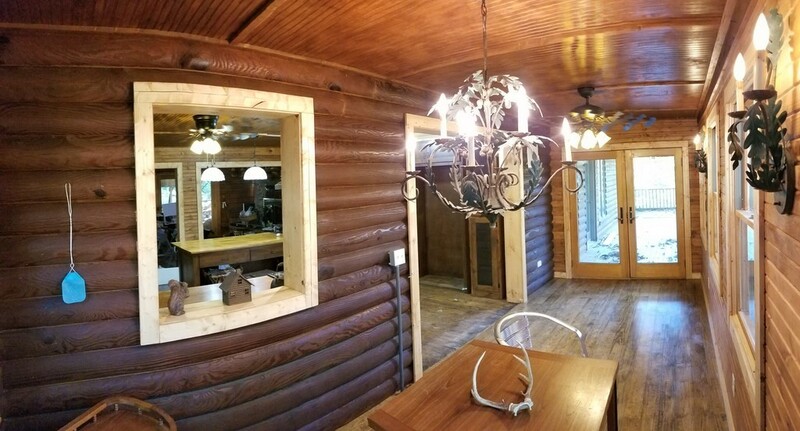 We added 8-foot by 20-foot dining room to the log cabin. 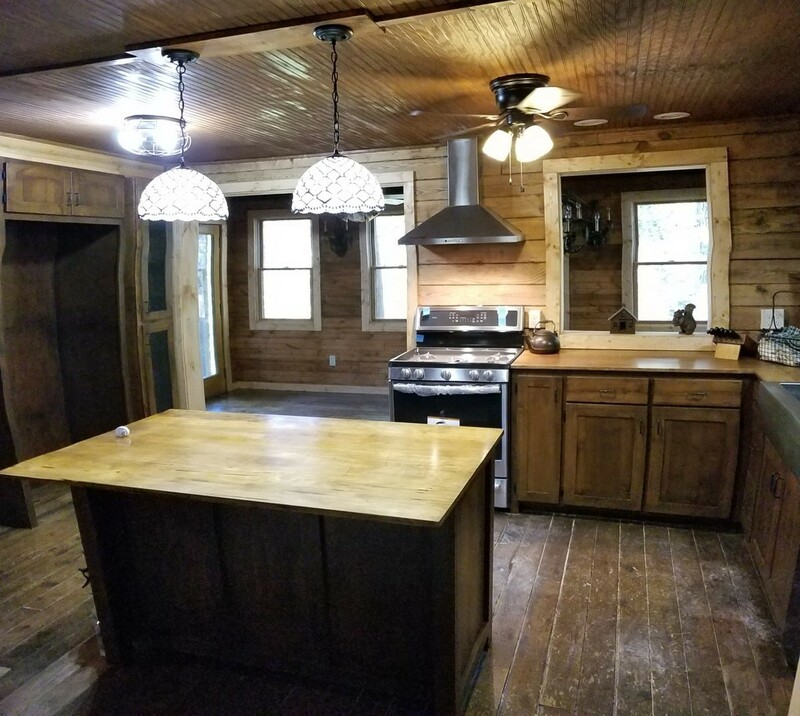 Take a look at the inside of the dining room we added on to the log cabin. 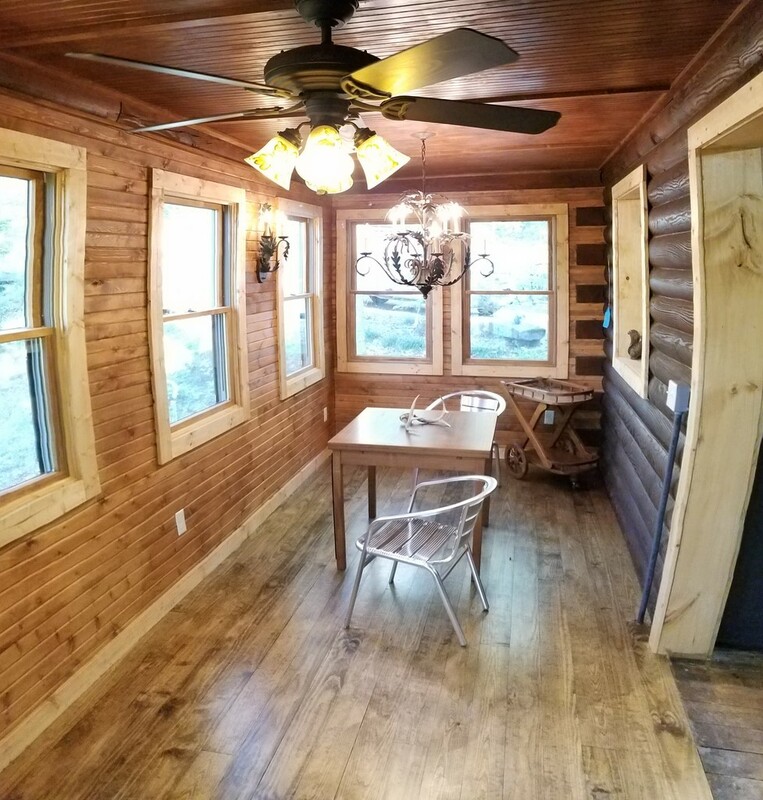 On the inside of this dining room addition we put beadboard on the ceilings and car siding on the walls and number one white pine on the floors tongue and groove. We also install Andersen Windows in this room and made an open chasing into the kitchen.